Two great artists, face to face, in one great Show. 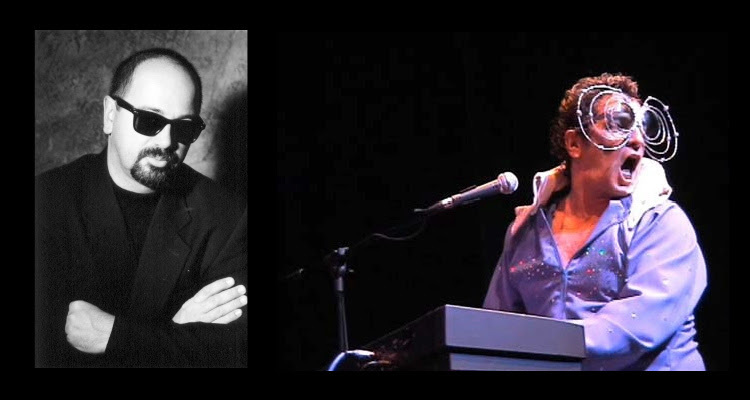 Don Wolf (Basically Billy) - In his career, Billy Joel has sold over 100 million records with numerous Grammy Awards and Nominations and has been inducted into the Rock and Roll Hall of Fame along with receiving the Kennedy Center Honours. To pay tribute to this artist, Don Wolf has dedicated himself to recreating the magic that is Billy Joel. Don's uncanny resemblance to the star combined with his powerful and dynamic voice makes for a convincing tribute. His career includes seven national and international CD releases, music composition for theatre, screen, and local and international touring band work. He is a highly sought after professional singer/songwriter who has fronted and toured the USA, Japan, Europe, and Canada. Don has also worked together with many top stars and producers, including Golden Earring, Poison, Bruce Fairbairn, Jack Richardson and Danny Lowe. Mick Dalla-Vee (Captain Fantastic) - From 1969 to the present, Sir Elton John has consistently dominated the charts and written some of the greatest movie sound tracks in the history of the genre. He has recorded over 45 albums to date, most of them receiving either gold or platinum status. Mick Dalla-Vee (as Elton John) with his convincing vocal styling and costuming captures the magic of Elton John in a fun, enthusiastic and authentic sounding way. Mick has been the lead vocalist and bass player for Randy Bachman for 14 years with a gold and platinum award for sales of 'Live at The Roseland Ballroom' in NYC with Bachman and Turner and special guest, Paul Shaffer.